Annette Bugansky is a British Ceramic Designer who creates innovative products as part of her collection of contemporary containers, lighting and giftware. She started her career in fashion and theatre and now combines this with her passion for texture and surface pattern producing beautiful tactile forms. 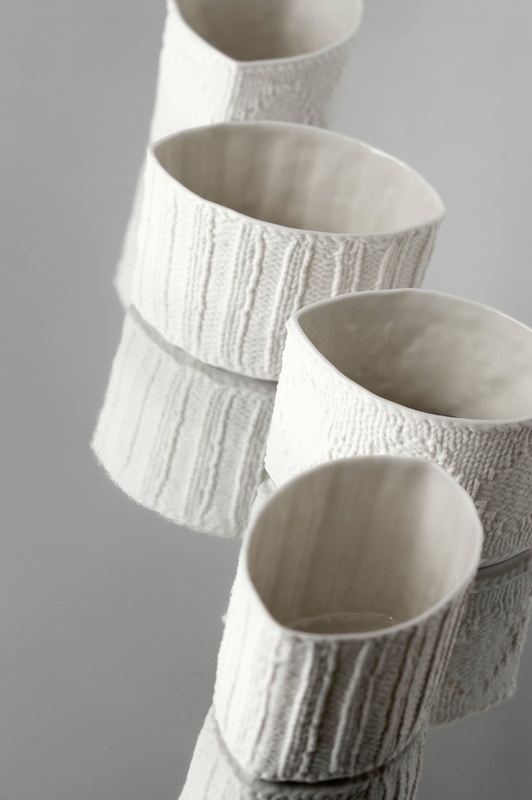 Annette graduated from Central Saint Martin’s in 2005 with a MA in Ceramic Design. Annette is influenced by artists who strive for quality; those with great technical ability and respect for their materials. She is greatly inspired by anything that has texture, depth, beauty and elegance. It may be natural, architectural or man-made. Traditional crafts, textiles, architectural details, different types of joining/connecting/entwining, geometric pattern and pattern repeats. She researches techniques used in other disciplines and develops them for use in ceramics. Her work has produced an organic blend of neutral shades and exciting textures. Her designs look equally exciting when empty as when used. 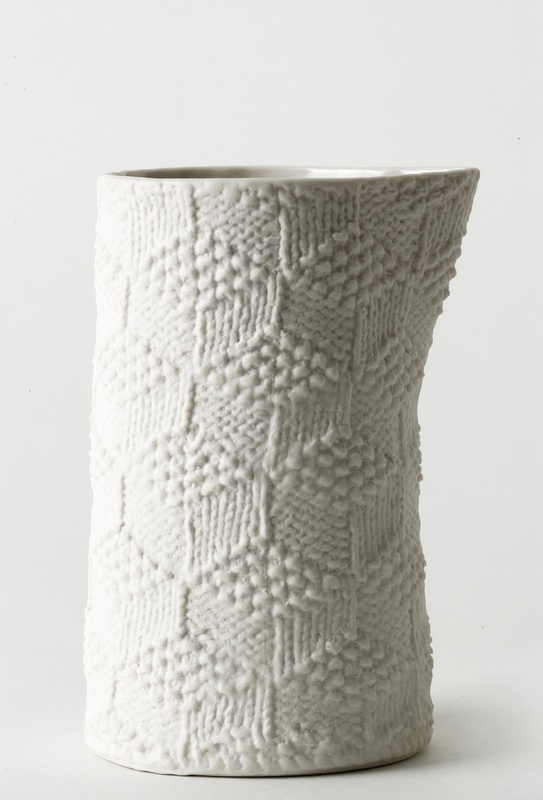 The textured vessels combine traditional pattern drafting techniques and Annette’s own experimental knitting, crochet and embroidery patterns to create the surface patterns. Slip casting in porcelain captures every detail. Most of her work is white with clear glaze and this year will see the introduction of new colours and platinum lustre. 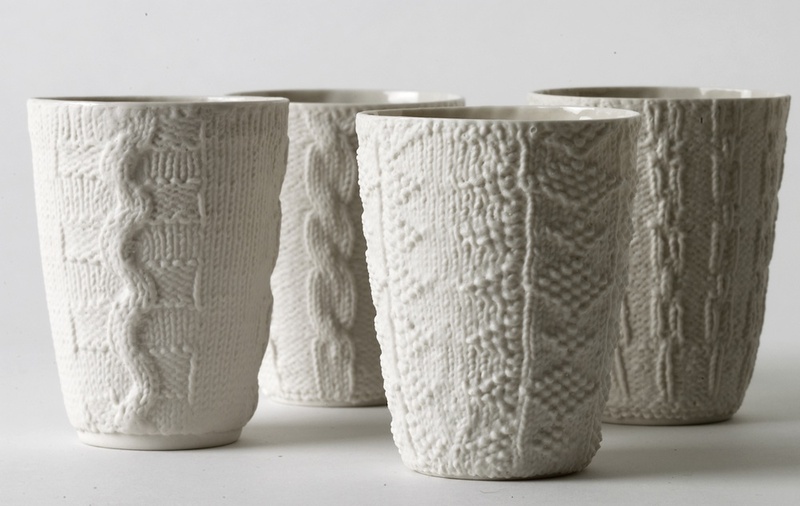 Her porcelain vessels are hand produced in her London studio. The models for many of her forms are made on a horizontal lathe, for some she uses the sledging method where a profile shape is cut in metal and drawn across the almost set plaster to produce different contours. For each form she designs ‘clothes’ to fit perfectly just as if designing for the human form, a cast is taken from this in plaster. A special process is used before a mould is made and then slip cast in Porcelain and then hand finished. The porcelain is fired to 1280oC making her products totally watertight. 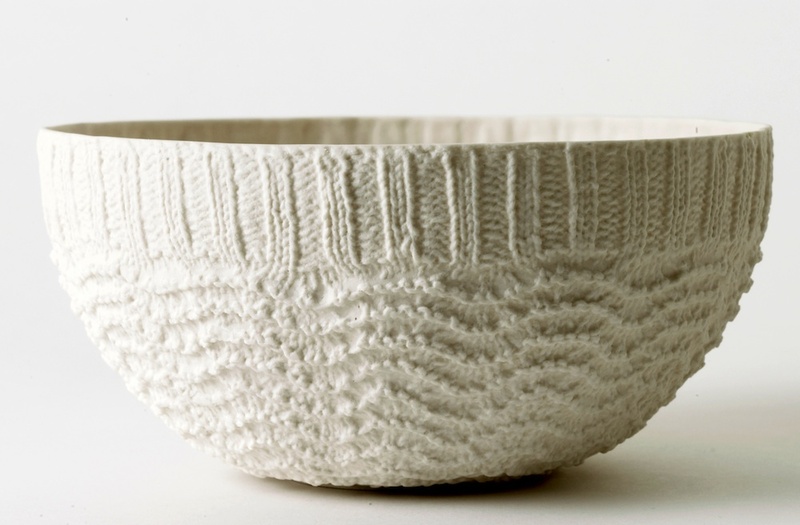 In 2009 Annette won Best Contribution to the Show at Origin, awarded by Crafts Magazine.